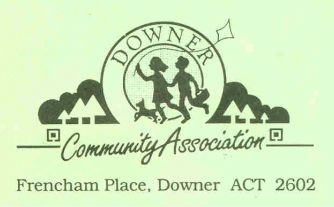 'Downer @ 50' , published by DCA to celebrate the 50th Anniversary of Downer in 2010. Also: Follow-up CD with photos and more stories from Downer. Copies of both available at $10 by emailing downerassociation@gmail.com or phoning 0404 758 576. Copies can also be purchased at Gang Gang Cafe. Cost: $10 for both the book and CD!